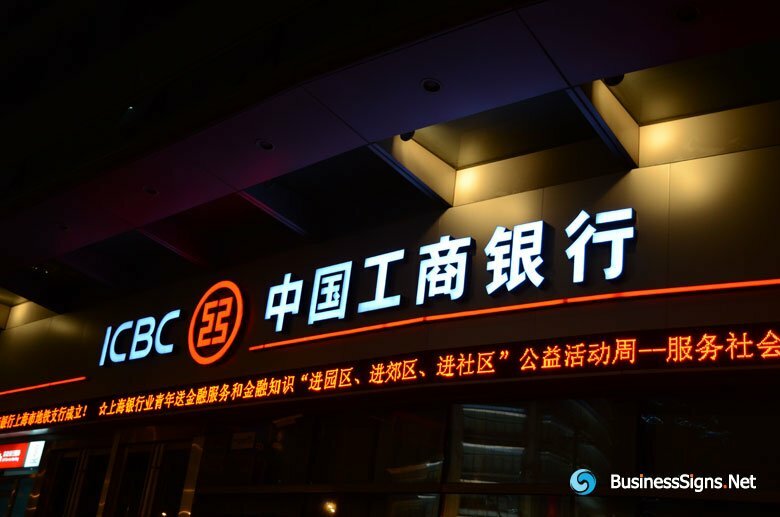 Industrial and Commercial Bank of China Ltd. (ICBC): is the largest Bank of China's 'Big Four' state-owned commercial banks. It was founded as a limited company on January 1, 1984. 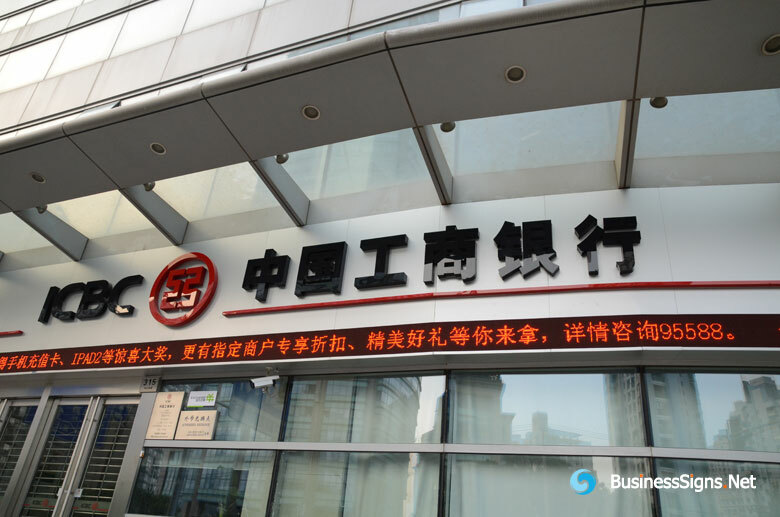 As of March 2010, it had assets of RMB 12.55 trillion (US$1.9 trillion), with over 18,000 outlets including 106 overseas branches and agents globally. In 2011, it ranked number 7 on Forbes Global 2000 list of worlds biggest public companies. 3M™ Day/Night Film: Specially formulated to produce the appearance of dark graphics during the day and white or colored graphics at night on internally illuminated signs. It has a clear, pressure-sensitive adhesive. Face-lit with 3M Day/Night film on the face, black acrylic border. Whether in the day or in the night, the signage catch the eye well.